I wasn’t allowed to go to concerts until I graduated high school, so I missed U2’s Joshua Tree Tour in 1987 (coincidentally or as a result of The Joshua Tree is my favorite album). I had to wait five years to see U2 in concert. 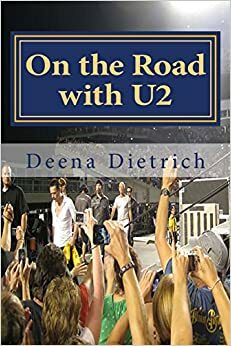 So my musical journey on the road with U2 started on the ZooTv Tour on Saturday March 7, 1992 in Hampton, Virginia. I was 19. It was my first U2 show was the fifth of the ZooTv Tour. On the morning of March 7th, my best friend Cindy and I drove four hours south from Ellicott City, MD to Hampton, VA. Back in those days, there was no need to get to the city of a concert a day early because there was no general admission – we had actual assigned seats on the floor. We checked into our hotel and immediately walked across the street to the Hampton Coliseum, even though it was hours before the concert was to start. We saw a small circle of people with a big microphone hovering over them. As we got closer, we realized Bono was in the middle of that circle! I didn’t speak with him, but got close to hear what he was saying to everyone. (Unfortunately, I did not journal back then, so I have no idea exactly what he said.) For my first U2 show, I was seated in the fourth row in front of The Edge. Bruce Hornsby and Phil Joanou walked in from behind the stage and passed by us on their way to the soundboard. The Pixies opened, and I did not like them at all. But then again, I just wanted to hear U2. I had waited five years since the release of The Joshua Tree to see them in concert! My wife and I have been U2 folks since the early 8o’s. 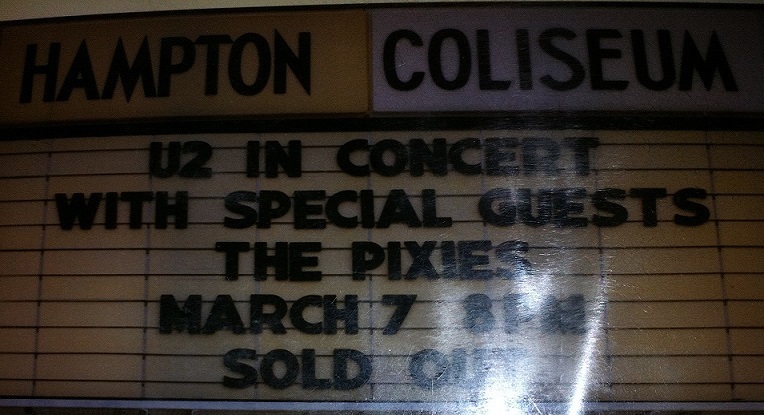 Our first live concert was also Hampton. We just went to the Joshua Tree Anniversary concert at FEDEX, MD. We saw them at UVA but this last one was awesome. The Lumineers were lead and the entire night was a blast.